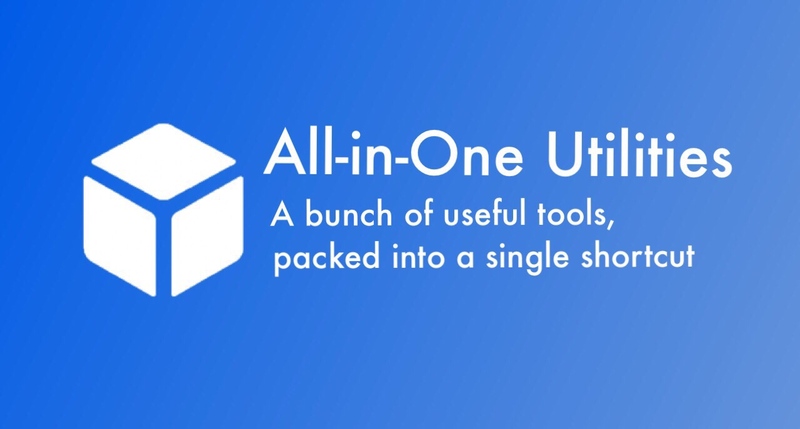 All-in-One Utilities is a shortcut that has many different useful (or entertaining) tools included in it. For example: An "Ultra Low Power Mode" for when you're running out of juice, "Park My Car" for quickly noting down parking information, or just play offline "2048"! Originally hosted on RoutineHub, ShareShortcuts and ShortcutsGallery.com. Checks if the Language File Checker has requested for an new language file or not, and if yes, checks what language file to get. If no language is specified, it prompts the user to pick an language. Once it gets all the info it needs, it goes to my github repo and gets the language file it needs and applies it. Attempts to get the language file's language name, and if unsuccessful it shows an alert. Checks if an preference file has been stored, and if yes, sets all the variables in the preference files to their respective variables in this shortcut. If not, it prompts the user to enter all the values. Checks if the user has set a PIN and if yes prompts the user to type their PIN. If you are making a video on this shortcut please credit me.